The slender, sandy Rockaways Peninsula is an outer reach of New York City between Jamaica Bay and the Atlantic Ocean. If someone pointed out the Rockaways on a map, you might be surprised to learn that it’s still within city limits. The subway does in fact reach all the way out there, but the hour-plus ride to Manhattan is arduous enough for many commuters or shoppers to rely instead on an entrepreneurial network of privately run shuttle vans and buses to get there and back. The peninsula has a long history of racial and economic segregation. The western end features Breezy Point Cooperative, an exclusive, gated enclave of homes valued in the high six and low seven figures. Breezy Point is 99 percent white, according to latest census estimates. Moving eastward, the neighborhoods get progressively less white and less wealthy. Eventually you come upon a cluster of massive brown brick housing co-ops and public housing buildings in the mostly poor, mostly black sections of the Rockaways, known as Arverne and Edgemere. Smack dab in the middle of these neighborhoods is a neglected corner at Beach 54th Street and Beach Channel Drive, surrounded on two sides by the Ocean Bay Apartments, a sprawling public housing complex that has nearly 5,000 residents. The site today features two stretches of shuttered storefronts, including a former check casher, two liquor stores, and a bodega. It just so happens that this particular corner of the Rockaways is also ground zero for what could become the next hot trend among foreign real estate investors: financing community-led, equitable economic development. Under the EB-5 program, foreign investors must make a minimum $1 million investment in a commercial enterprise, or $500,000 minimum if that enterprise is located in a targeted employment area (TEA), defined as a non-rural location with an unemployment rate at least 150 percent of the national average. Investors, their spouses, and their children gain conditional U.S. residency upon making the investment. If their investment is proven by a third-party analysis to have created at least 10 jobs within five years, they gain permanent residency. For nearly two decades, there wasn’t much uptake in the program. A 2005 study by the United States Government Accountability Office (GAO) showed that the program had only a few hundred approvals in most years and was actually tapering off. The GAO attributed the lack of participation to a rigorous application process and other lags in the overall procedure. The lack of EB-5 uptake appears to have been reversed by a bout of desperation. At the nadir of the 2008 financial crisis, real estate developers saw immense opportunities to acquire and develop properties in a depressed market, but like everyone else they were short on cash. A few, such as Related Companies, the developer of the massive Hudson Yards project on Manhattan’s West Side, stumbled upon the EB-5 Immigrant Investor Program. The company famously raised $600 million in EB-5 capital for Hudson Yards thanks to 1,200 Chinese families. Related Companies became part of a massive wave of companies that were suddenly courting EB-5 investors and supporting them through the rigorous application process. 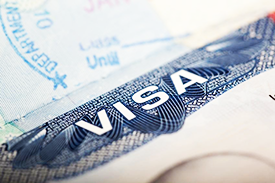 According to a study by the Institute for a Competitive Inner City (ICIC), EB-5 immigrant investor approvals have spiked since the 2008 crisis. The EB-5 program hit its cap of 10,000 approvals for the first time in 2014 and it nearly did so again in 2015. While no publicly available data can show how every EB-5 dollar has been invested, real estate development has not been shy about utilizing the program’s funds. Related Companies created a website to court immigrant investors, advertising how they’ve worked with 3,600 EB-5 investors and counting. Other large real estate projects with EB-5 financing include an 83-story apartment tower in Miami, a Las Vegas casino, Hunter’s Point Shipyard redevelopment in San Francisco, and the Atlantic Yards redevelopment in Brooklyn, which includes the shiny new Barclays Center. Shawn Escoffery also started looking at the EB-5 program at the height of the 2008 financial crisis, when capital markets were tightening up. Suddenly, he remembers, things switched. Commercial development started to pick up. He lived in Brooklyn at the time and saw the Barclays Center go up and the surrounding neighborhood undergo massive development with the aid of EB-5 capital. Around the same time, Orson Watson, an adviser with the Garfield Foundation, was also looking at how the sudden wave in EB-5 money was having an impact on inner cities. A CDC based in Boston’s Vietnamese-American community had tipped him off when they looked at EB-5 capital to help finance construction of a new transit station. The Garfield and Surdna foundations eventually funded ICIC’s study of the EB-5 program. “It was not being utilized in the places where it was intended,” Watson says. Though the intent was to direct funds to low-income census tracts, of the 178 EB-5 projects the ICIC study identified across the U.S., almost none went to low-income census tracts after 2008. In other words, investors were able to participate at the $500,000 level in projects in census tracts that clearly did not have the requisite unemployment rate of 150 percent of the national average. The loophole appears to have been the fact that individual state agencies decide what qualifies as a targeted employment area. Online tools exist that allow users to gerrymander multiple census tracts together into a proposed targeted employment area that technically meets the 150 percent threshold. At least one tool even produces the necessary paperwork stipulating to state agencies that the proposed TEA meets the threshold. Meanwhile, there is nothing in the EB-5 regulations or law that require the jobs created by an EB-5 project go to people who live inside the proposed TEA. “The whole [ICIC] report is about identifying an unmet opportunity,” says Watson. “We saw this as an opportunity” for community-oriented developers to turn EB-5 capital to more of its intended use. But someone would have to play the guinea pig. Not long after the ICIC report came out, Watson and Escoffery caught up with Chris Kui, executive director of Asian Americans for Equality (AAFE), an advocacy organization-turned CDC and microlender based in New York City’s Chinatown. AAFE had been looking into starting its own EB-5 regional center, the vehicle that U.S. companies use to pool EB-5 capital from investors overseas and provide them with support and documentation to get through the EB-5 application process. AAFE was the ideal test case to pilot a mission-based EB-5 regional center. Not only does it have decades of experience in affordable housing, commercial, and mixed-use development, AAFE has cultural and familial ties to China. Of the 9,764 EB-5 conditional residencies approved in 2015, 8,156 went to investors from China and their family members. “We had to [do] a lot of thinking about whether this [was] really a good thing,” says Kui. The main downside was the tremendous amount of compliance. “It’s really involved, taking on the investment, the due diligence on the investors, the reporting requirements,” Kui explains. Ultimately, it decided their decades of experience, including having developed the first Low Income Housing Tax Credit project in New York City and operating two in-house CDFIs [community development financial institutions], meant they would be up to the task. “For us, it makes sense,” says Kui. “We need some kind of new capital. We’ve been looking at the need for increased equity financing in community development . . . to leverage more financing to do large projects.” It’s also cheap—they anticipate only having to offer their investors 1 to 2 percent interest, since the visas are the primary motivation for the investment. The Garfield and Surdna foundations partnered again to support AAFE in establishing an EB-5 regional center. The process took about 15 months or so, at a total cost of around $250,000. “It’s a complicated process. You have to understand the neighborhood, the region that the regional center will help attract [investment to],” says Ernesto Vigoreaux, chief operating officer at AAFE. The application processes for both EB-5 immigrant investors and EB-5 regional centers run through the U.S. Citizenship and Immigration Services (USCIS). Essentially, EB-5 regional centers provide supporting documentation to each investor outlining how their capital will create the requisite number of jobs in a specific geographic area, an EB-5 investors apply to USCIS. EB-5 regional centers can also file project-specific paperwork with USCIS in advance of their investors, which helps to expedite the process. Applications to establish an EB-5 regional center require a business plan that details a sustainable long-term business model. In AAFE’s case, its EB-5 center will operate as an affiliated social enterprise, similar to AAFE’s affiliated CDFIs. Developer fees as well as rental income from completed projects will repay investors, cover marketing to new investors, and support other operating costs as needed. AAFE will focus on using EB-5 capital for mixed-use projects, since they provide a healthier revenue base. All that said, Kui still expects the center will work in conjunction with philanthropic or other kinds of capital as part of executing any given project. To apply to run a regional center, organizations also need a qualified, experienced third-party economist on retainer who can vouch for the exact number of direct as well as indirect jobs that can be attributed to a given investment. Indirect jobs could, for example, include jobs for suppliers of construction materials or small businesses that will eventually move into a mixed-use development. The number of jobs attributable to a project is crucial, since each EB-5 investor must eventually be able to prove their investment created at least 10 jobs. This effectively puts a cap on the number of EB-5 investors for any given development. “Once we get the number of jobs for a project, then we know how much we can raise maximum for that project through the EB-5 program,” Kui says. AAFE spent about six months looking for economists who were the best fit for them. “There are a lot of these economists who understand different markets and know how to do the metrics,” Kui says. But AAFE needed economists who had an understanding of mission-driven development, not just conventional real estate development. “We are a more community-based, mission-driven organization; having more understanding of that is important,” says Kui. Luckily, he adds, “because it’s a national program, you don’t have to use someone where you are.” AAFE’s two economists on retainer are not based in New York City, but they have experience with that market. The same goes for the business planning consultants AAFE brought in as part of the EB-5 regional center application process. While AAFE could have written a business plan on its own, Kui says they decided to bring in consultants who had experience with EB-5 regional center applications. AAFE also searched for law firms that had experience with the program as well as an understanding of mission-driven development. Legal support plays an ongoing role, and therefore a cost, after gaining EB-5 regional center approval. With each project, investors must be vetted to ensure that they have the ability to invest and that they legally acquired the funds they are investing. Moreover, with each project, the EB-5 regional center must also file a private placement memorandum with the Securities and Exchange Commission (SEC), which requires additional legal support and documentation to stipulate that investors have been adequately informed about their investment. It’s the SEC’s standard process to protect investors in private (i.e., outside of stock market) investment offerings. AAFE received its EB-5 regional center approval in April 2016. Since then, it has hired a representative in China to begin establishing relationships with potential investors. In marketing to those potential investors, AAFE is banking on cultural ties as well as the appeal of mission-driven development. Kui says AAFE hopes to finance not only its own projects, but also others in the New York City area in partnership with community-based developers. They do not yet anticipate a formal application process, but encourage New York City-area community-based developers to start a conversation with them. The first project AAFE anticipates financing through the EB-5 program is already an example of that. While the financial crisis brought AAFE and the Surdna and Garfield foundations together to create a mission-based EB-5 regional center, it was another crisis that created the circumstances for AAFE’s first planned EB-5 financed project. Hurricane Sandy hit the Rockaways hard. While white and wealthy Breezy Point residents had access to insurance and other funding to rebuild their end of the peninsula, Arverne and Edgemere residents struggled to access funds that had been raised ostensibly to help people rebuild after the storm. A group of Arverne and Edgemere residents and business owners began meeting at Battalion Pentecostal Assembly Church on Beach 67th Street in Arverne. Naming themselves Rockaway Call to Action, they started organizing to draw attention to the recovery funding issues. “Eventually, we had a press conference and all the elected officials showed up,” says Jonathan Gaffney, who works at Ocean Bay CDC, which is based in the Ocean Bay Apartments. Part of the eventual solution was to have an AAFE staffer at Ocean Bay’s offices once a week, helping residents and small businesses file paperwork and do the necessary follow-up to access funding. AAFE also provided some small loans and grants to residents and small businesses as needed. They felt a connection to the Rockaways community, as they had themselves been ushering Chinatown and Lower East Side residents through post-Sandy recovery issues. Call to Action kept hosting gatherings, which eventually served as a forum to develop a long-term vision for the community. It still meets every other week. As part of its long-term planning, it has set its sights on the neglected corner at Beach 54th Street and Beach Channel Drive. The New York City Housing Authority (NYCHA) previously acquired the site as part of a HOPE VI program that didn’t to amount to anything, so the agency recently put out a request for redevelopment proposals for the site. Residents envision that the site will eventually have a new grocery store, a pharmacy, a credit union, and new offices for Ocean Bay CDC, including some business incubation space. With predevelopment support from LISC, AAFE/Ocean Bay CDC’s joint proposal got preliminary approval earlier this year. If all goes well, including AAFE’s regional center raising sufficient EB-5 financing, they expect to break ground in early 2017. It would be Ocean Bay CDC’s first real estate project. Soon, the world will have the chance to invest directly in that dream. Wow! This story reads like a Robert Ludlum novel! Congratulations to the hard working folks who are driving this encouraging new endeavor. While the hard won efforts are not new to our industry I think the story of accessing this new form of investment, as well as just about any other investment in stabilizing and strengthening neighborhoods continues to be strong community development organizations with financial and organizing capacity. Organizations cannot take advantage of new initiatives or lead planning for community visioning if they can’t pay the electric bill. What would happen if funders and the government agencies committed to helping communities return to the basics—providing meaningful investment to high performing projects and organizations to help them to do their jobs? More CDCs could replicate the encouraging work written about here expanding that investment ten-fold or more.